Some of the most important math skills you need, it turns out, are the basic ones you learned in fourth grade. Simple double-digit multiplication and division can help you triple your money. (Yes, you read that correctly.) There are two handy rules of thumb to use when you calculate how well an investment will pay off: the Rule of 72 and the Rule of 115. The Rule of 72 shows you how quickly you’ll double your money. All you have to do is divide 72 by the interest rate it's earning. This is the number of years it will take for your money to double. For example, if your money is earning an 8 percent interest rate, you’ll double your money in 9 years (72 divided by 8 equals 9). Or, if your money is earning a 5 percent interest rate, you’ll double it in 14.4 years (72 divided by 5 equals 14.4). If your money is earning a measly 1 percent interest rate, it will take you – yep, you guessed it – a whopping 72 years to double it. Remember: this is a “rule of thumb,” not an iron-clad law. The Rule of 72 doesn’t adjust for details that make a significant dent in your returns, like taxes and your fund’s administration fees. However, it’s a useful guide for making a quick mental calculation of how long it will take you to turn $10,000 into $20,000. Besides, it’s a fantastic reminder of how powerful a single percentage point can be. The difference between 6 percent and 7 percent doesn’t sound like much. But the difference between doubling your money in 12 years versus doubling your money in 10.3 years sounds a lot more significant. As a side note, the Rule of 72 assumes that your money “compounds annually” – a term which means that once a year, your interest gets added to your principal and the entire amount is reinvested. The Rule of 115 follows the Rule of 72. If doubling your money isn’t good enough, the Rule of 115 will show you how long it will take to triple your money. It's as simple as dividing your interest rate by 115. The quotient is the amount of time it will take you to triple your money. 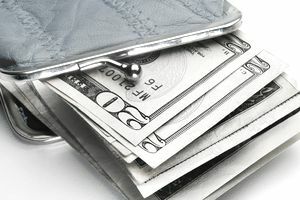 For example, if your money earns an 8 percent interest rate, it will triple in 14 years (115 divided by 8 equals 14.3). If your money earns a 5 percent interest rate, it will triple in 23 years (115 divided by 5 equals 23). Note that tripling your money is easier – in some respects – than doubling your money. If you’re earning a 5 percent interest rate, you’ll spend 14-and-a-half years trying to double it, but only an additional 9 years tripling it. The Rule of 115 is also thanks to the power of compound interest. The more interest your money earns, the more your money will work for you. However, this assumes you reinvest the interest rather than spend it on some new clothes or games. Reinvesting your interest is pretty simple – if you're not getting a check or payment from your investments annually, you're probably reinvesting your interest. Look at the page where you buy your funds. You should see a little box that says, “reinvest interest and dividends.” That box will probably be there regardless of whether you’re investing in mutual funds, stocks, bonds or exchange-traded funds. Check that box and then forget about it. Wait 14 years. Watch your money triple. It's that simple.